Steve took this picture yesterday. We decided we better take one because I am being induced. Apparently doctors don't like it when mama's blood pressure gets too high. So, as of right now I am probably laboring away (this post was written yesterday, before I checked in at the hospital for an overnight induction). Things will be quiet here for the next little while, but I will definitely post baby deets when I have them. Good luck with everything. You sure do look fabulous for your induction day! Can't wait to see the little guy and to hear the name you choose for him! YAY!!! Good luck! Can't wait to see that sweet baby! Oh and you look fantastic for being 39 weeks pregnant! I'm pretty sure I didn't get off the couch, let alone dress up cute! Good luck! You look gorgeous here, and I hope everything goes perfectly. can't wait to see the new addition to your family. Best of luck! You will do great! Follow those momma instincts (yes, they will kick in! )and you will be fabulous! So cute- good luck! Praying for you! 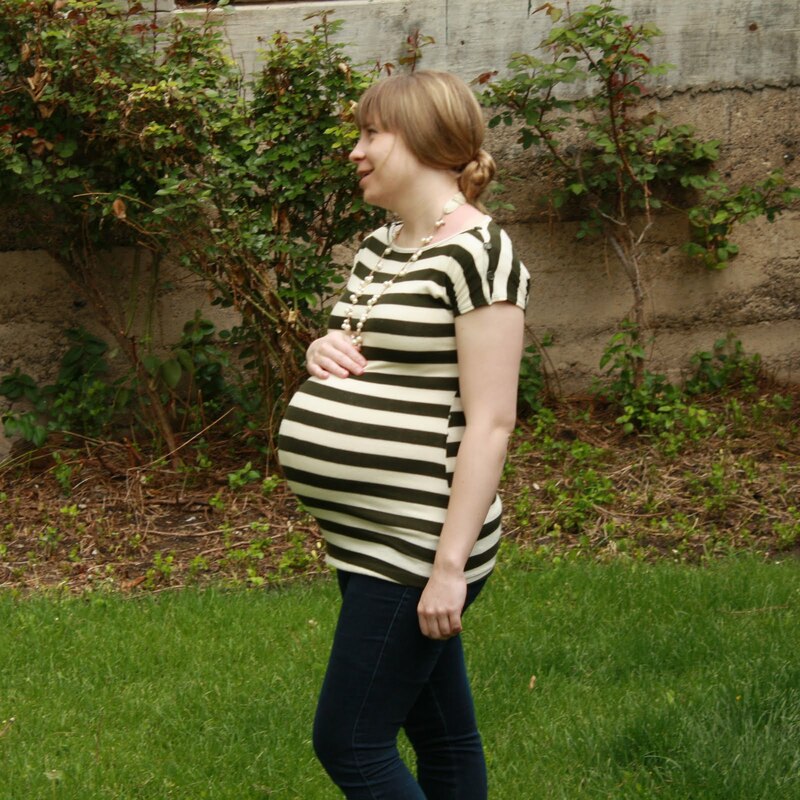 I'm retroactively jealous of your pregnant belly, which looks adorably round, like pregnant bellies should. Mine always looked like a fleshy Hershey's Kiss, which is just bizarre. I prayed for you guys last night -- I hope everything turns out well! Congrats on baby. Hopefully you have had him by now. Good Luck with everything... had my little girl 10 months ago by c-section, such a fantastic time!! Wow good luck with it all !! =] You must be so excited ! what a beautiful last look! She is so great.Chanel may be known for its timeless designs, but with the introduction of the Chanel 2.55 Chanel brings us a line that is both seductive and a slight change of pace. Unmistakably different, Chanel classic strays from the quilted Chanel Evening Bags we have come to expect from the brand. For those of you who were disappointed that Chanel’s Fall 2011 runway show only featured a couple of handbag styles, fret not. We have a few more Chanel handbagsto show you, courtesy of the fine folks at Style.com, plus a closer look at the Chanel Shopping Bags that were featured on several models during the presentation.